Cowley, John. (ca. 1745). A Map of South America. London. Robert de Vaugondy, Didier. (1777). 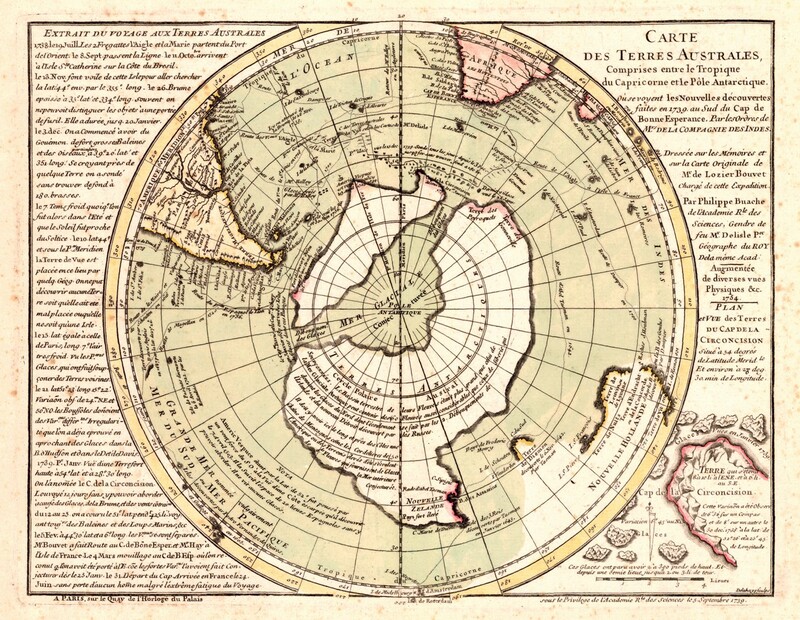 Hemisphère Australe ou Antarctique. Paris. ↑ Wace, Nigel Morritt. (1969). The discovery, exploitation and settlement of the Tristan da Cunha Islands. Proceedings of the Royal Geographical Society of Australasia (South Australian Branch) 10: 11–40. ↑ Matthews, L. Harrison. (1931). South Georgia: The British Empire's Sub-Antarctic Outpost. Bristol: John Wright; and London: Simpkin Marshall. ↑ Faustini, Arnaldo. (1906). Di una carta nautica inedita della Georgia Austral. Revista Geografica Italiana, Firenze, 13(6), 343–51. This page was last modified on 26 March 2016, at 05:24.